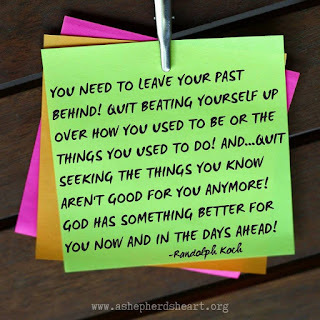 A Shepherd's Heart: You Need To Leave Your Past Behind! Friend...there's nothing there for you anymore! God has given you a new life and He always has something better in store for you to replace the old stuff that you no longer need...including the old you! You are no longer who you once were because you are in Christ! You have been redeemed and you are a new creation! You've been "upgraded" thanks to Christ. So, stop trying to be like the Israelites of old who wanted to go back to Egypt where they were enslaved! 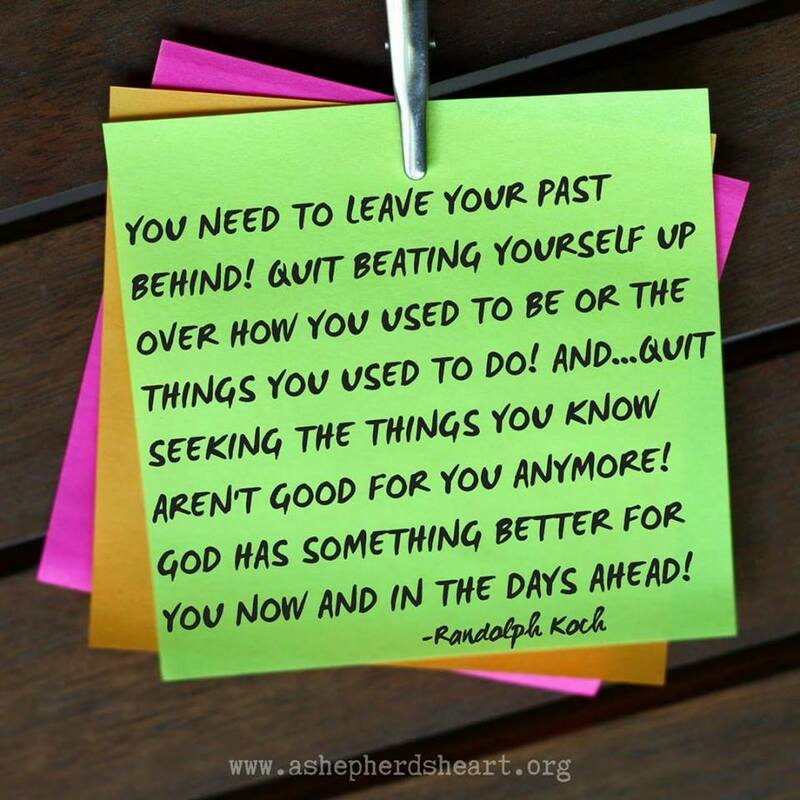 Your past can enslave you if you dwell or seek to return there! As I've shared before...your history is now completely HIStory! So, walk with Him, trust Him, listen to Him, be obedient to Him, and live in the new life He's given you! Your old life can no longer enslave you! He has set you free so live in His Freedom! P.S. Please share this encouragement with others!